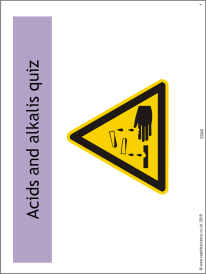 Perfect for reviewing a unit of work on acids and alkalis. Twelve multiple choice questions that get students thinking about pH, neutralisation and indicators. Answers are provided on the last slide.